An Existing Conditions Survey (also known as a site and context plan, or a level and feature survey) is often needed when any planning or design works takes place on a property, road, or other infrastructure. These surveys provide accurate information on the site including the location of features (buildings, vegetation, fences etc. ), the slope of the land (spot levels and contours), building heights, road features (i.e. centre line, edge, driveway etc), and any services that are present (sometimes the use of service location professionals are utilised). For town planning applications, the adjoining property buildings are also surveyed including the location of habitable windows, doors, roof ridgelines and eaves. Each feature is measured on a different code and layered in computer software (AutoCAD) to allow for easy interrogation in the digital environment with 3D models created that can be imported to many different design software. So how is all measured? We use the latest surveying equipment and have both Robotic Total Stations (RTS) and global positioning systems (GPS or GNSS) and we set up a co-ordinated survey control system when we move around. The RTS is the new age theodolite and measures a wave length to a prism and back to determine distances and can be accurate to within a few millimetres. It is robotic which means it tracks the prism the operator walks around with who also had a survey controller which records the observations along with codes and attributes as required (i.e trunk and tree spreads). The RTS also has a ‘direct reflex’ mode of measurement which measures to all of those hard to get at places (i.e. ridgelines, eaves, centre of busy roads) without the need to be at the object (you sight the RTS to the object and measure) making the operators job safer and often more efficient. The GPS (now called GNSS – global navigations satellite system) uses satellites orbiting in space at fixed trajectories to determine our location. We use differential GPS which logs information at a base station (can be locally or can use the statewide based VicPOS system but you need mobile phone coverage) and sends corrections to the GPS that you are walking around with. Phones and handheld GPS units do not have the corrections which is why they are usually accurate to +/- 10 metres. With our system we can be accurate to a couple of centimetres. 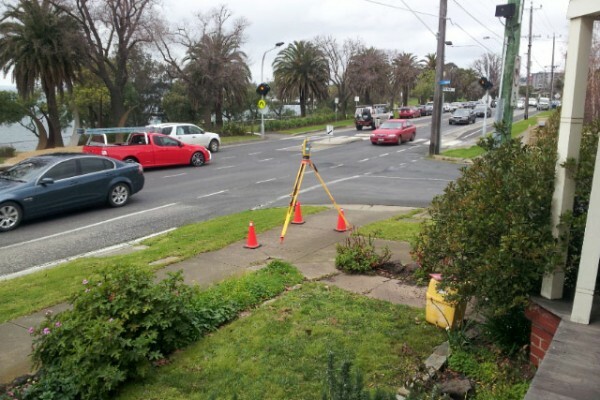 The surveys are usually to the Australian Height Datum (AHD) which is an Australian universal height datum, and often to the Map Grid of Australia (MGA) which is a universal coordinate datum. There may also be a need to carry out a Title Re-establishment Survey to determine the exact location of the property boundaries as sometimes the boundary is different to the existing fencing. This is very important if any proposed works are near to the boundary. All of this survey information provides the base for any proposed design works by Architects and Engineers, with the value of having quality and detailed information early often saves time and additional works over the course of the application. Step Surveying provides all of the above services so please contact us today to discuss your project. 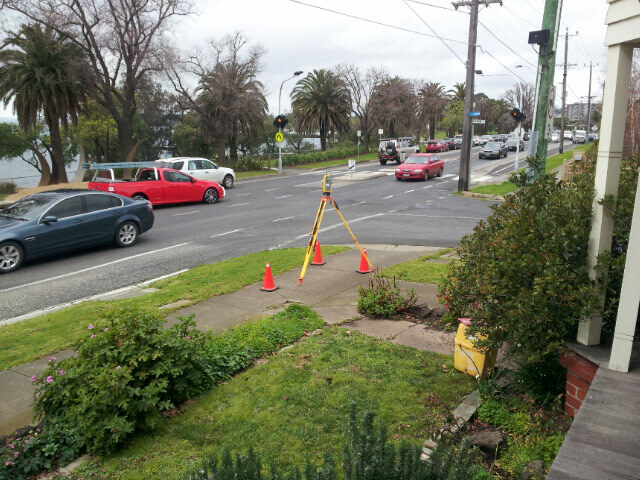 © 2019 Step Surveying Land Surveyor Geelong.